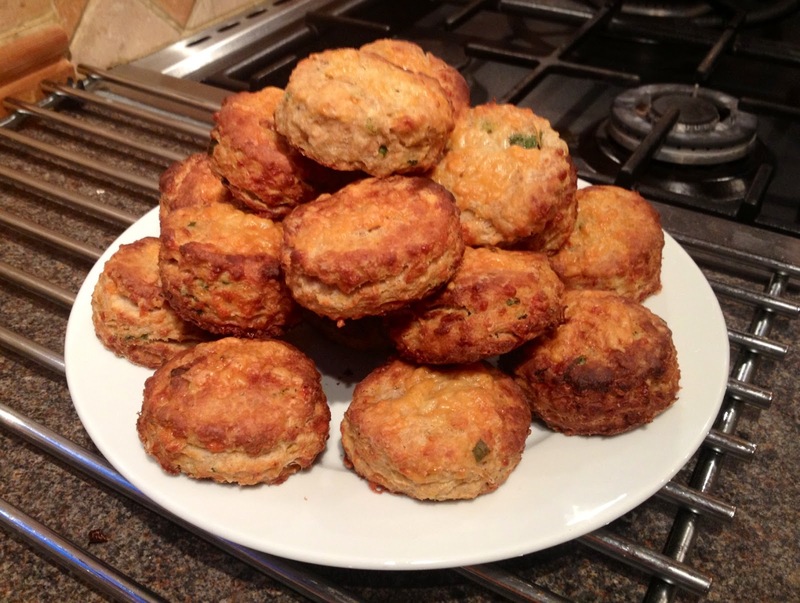 So I’ve shaken it up again and gone savoury with a cheesy scone with a bit of a kick! As I’m away this weekend, I made these last Sunday and have actually been having them for my lunch all week. They’re a great alternative lunch with a bit of salad on the side and much more interesting than sandwiches. They’ve got a nice spicy kick but if you’re not a fan you can always just reduce the amount of chilli. 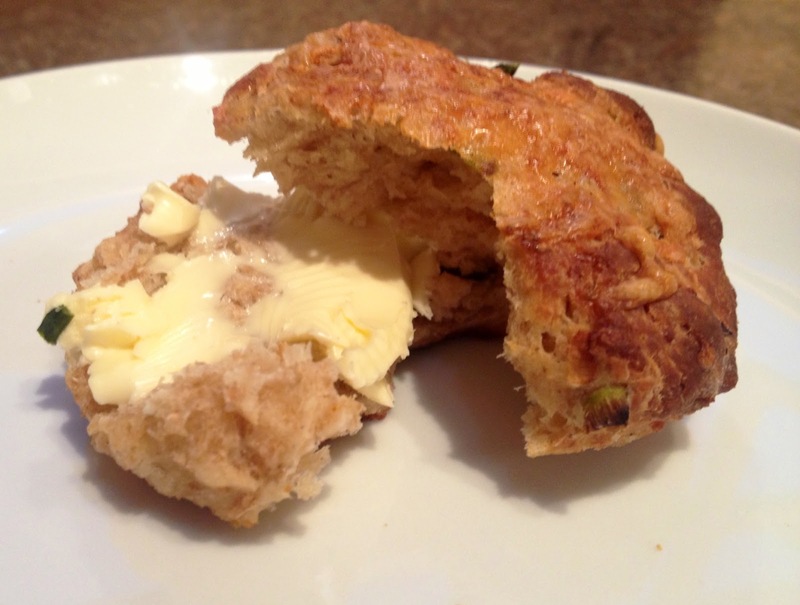 Simply break in two and apply generous amounts of butter for a truly scrumptious snack. 1. Preheat the oven to 220°C. 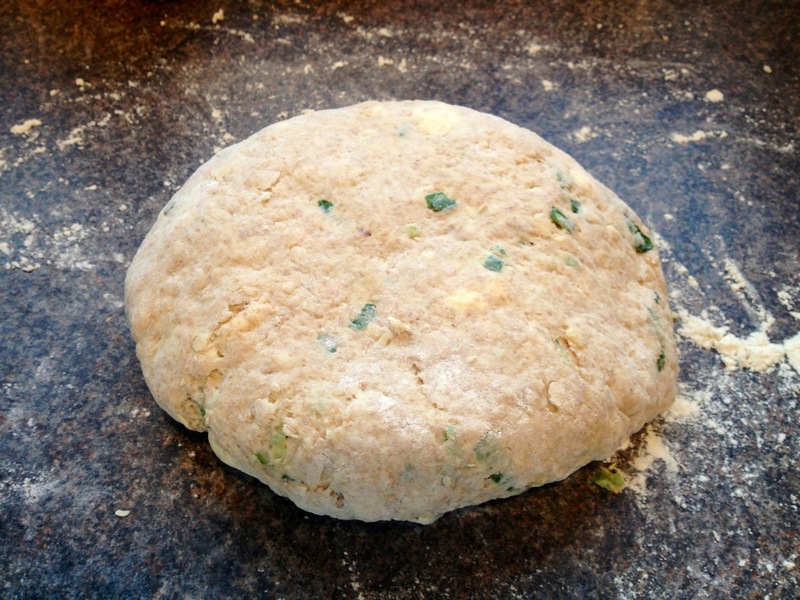 Line a baking sheet with greaseproof paper. 2. 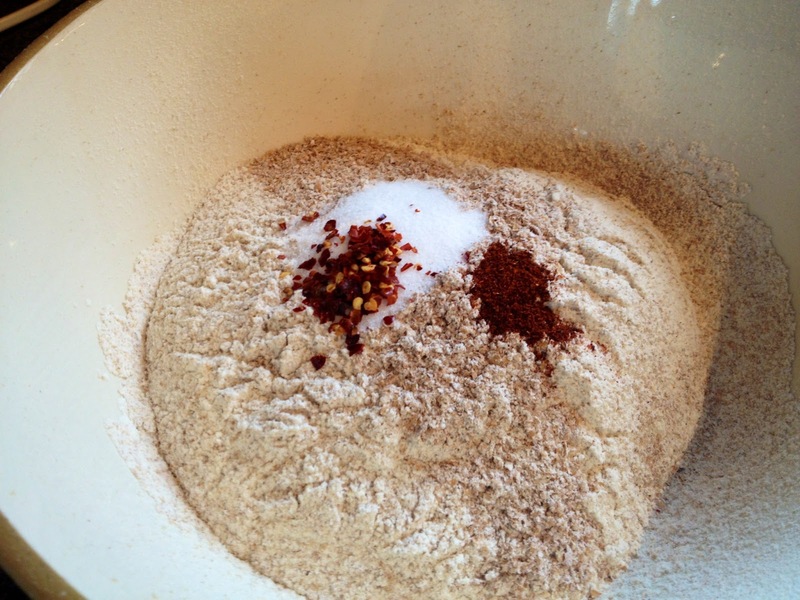 Sift together both flours in a bowl and add the baking powder, salt, chilli flakes and chilli powder. 3. 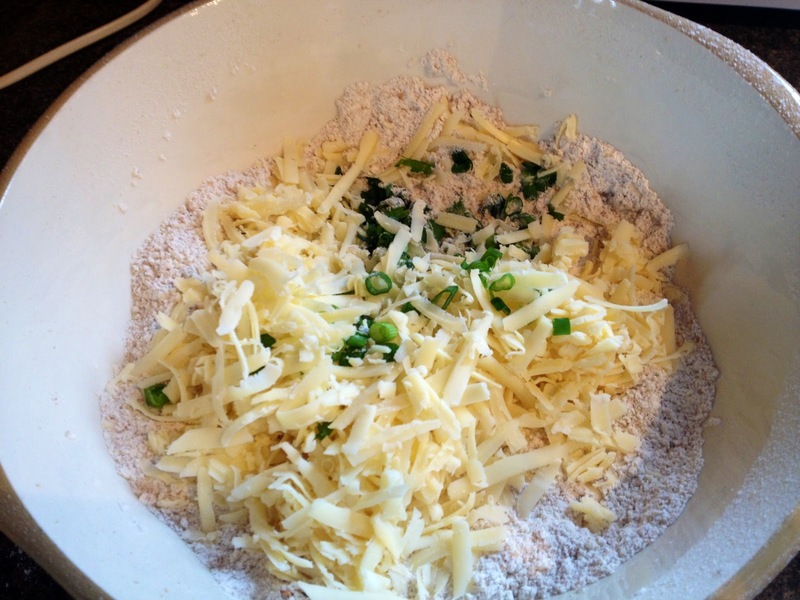 Toss the spring onions cheddar and butter cubes into the mixture. Don’t rub in the butter, the pieces should be small enough that they will work their way into the mixture as you continue with the recipe. Try to be sure they don’t clump together though. 4. 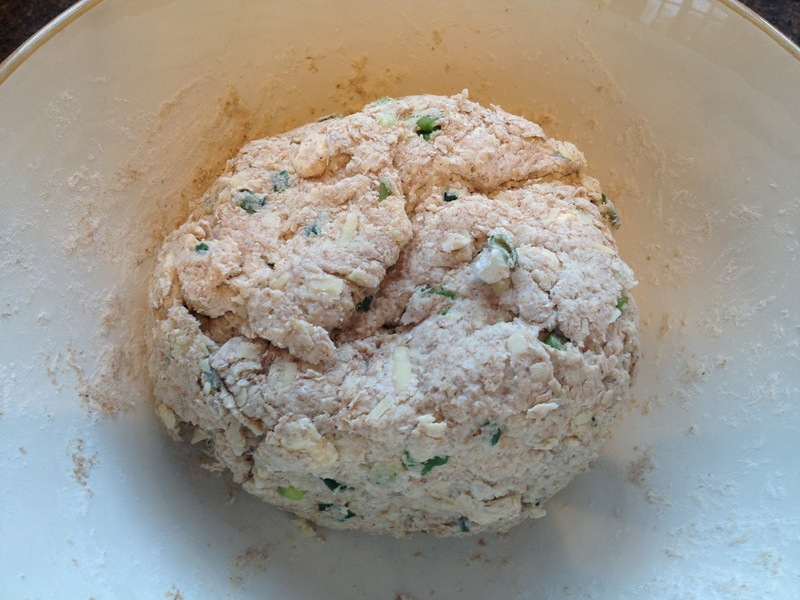 Add the buttermilk, a little at a time, until a sticky dough starts to come together. 5. 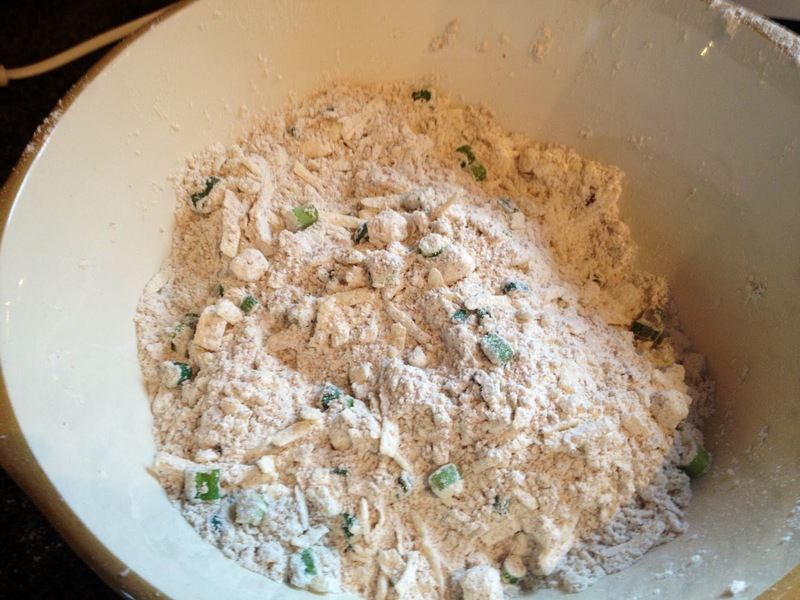 Place the dough on a floured surface and knead the dough until it starts to come together a little better. 6. 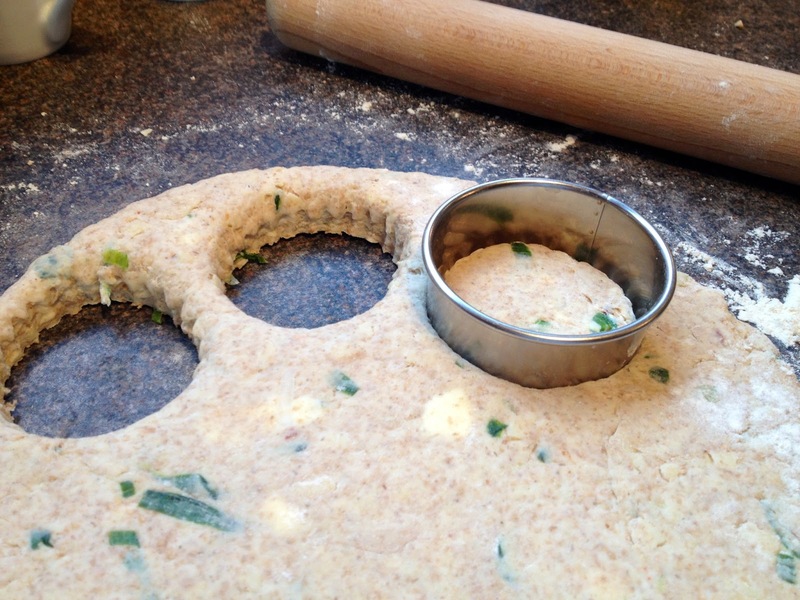 Roll out until approximately 1 inch thick and cut into round shapes with a pastry cutter. 7. 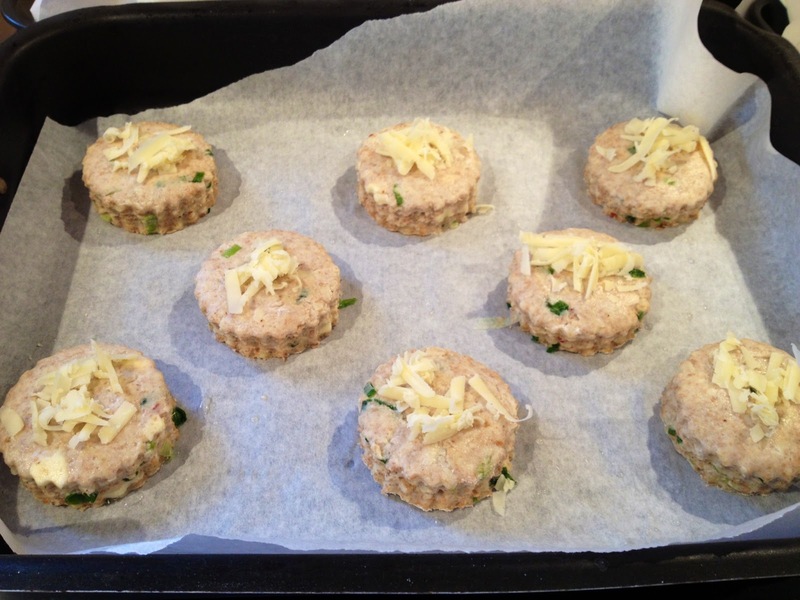 Place onto your pre-prepared baking trays and brush the tops lightly with a little water and sprinkle with a little more cheddar. 8. 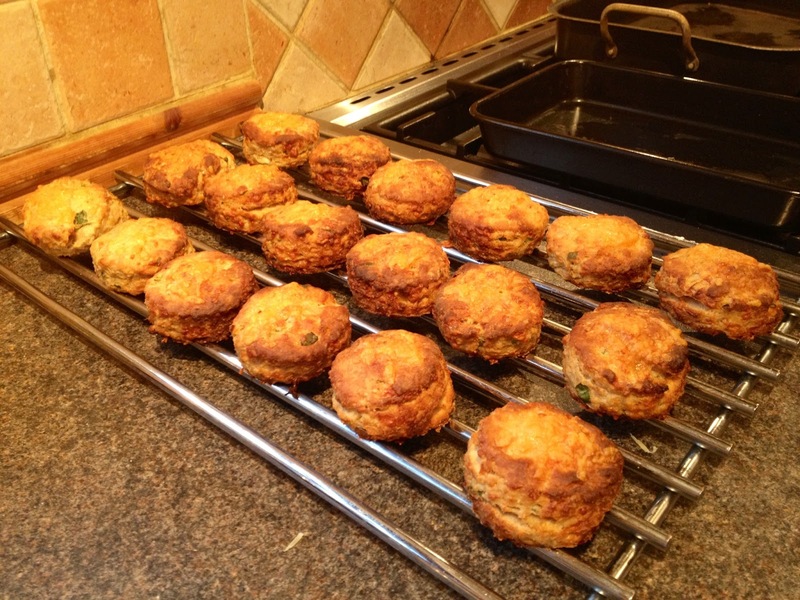 Bake for 15 minutes until the sprinkled cheddar on top has turned golden brown and the scones are firm. 9. Remove from the oven and place on a cooling rack. If eating them straight away leave to cool for 5 minutes before serving.